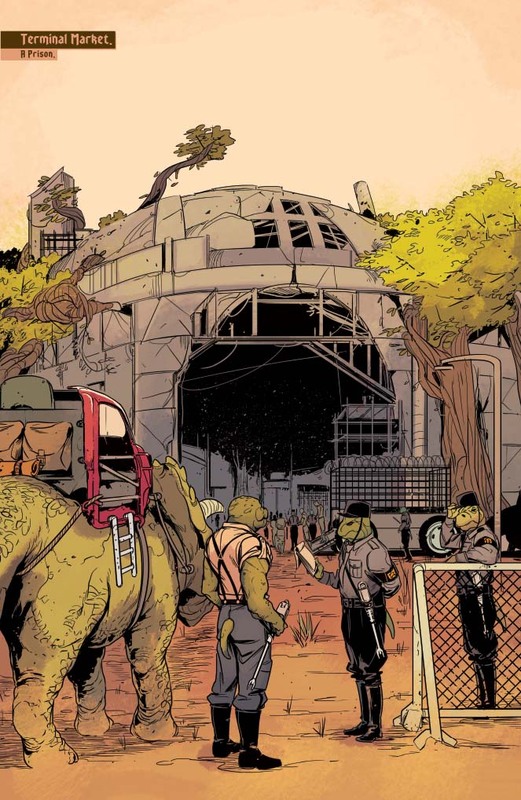 The fascist Saurian soldiers of the Varanid Empire—part dinosaur, part man, all bad news—have seized control of the Lost Valley, and only the mysterious man known as Turok is willing to stand against them! 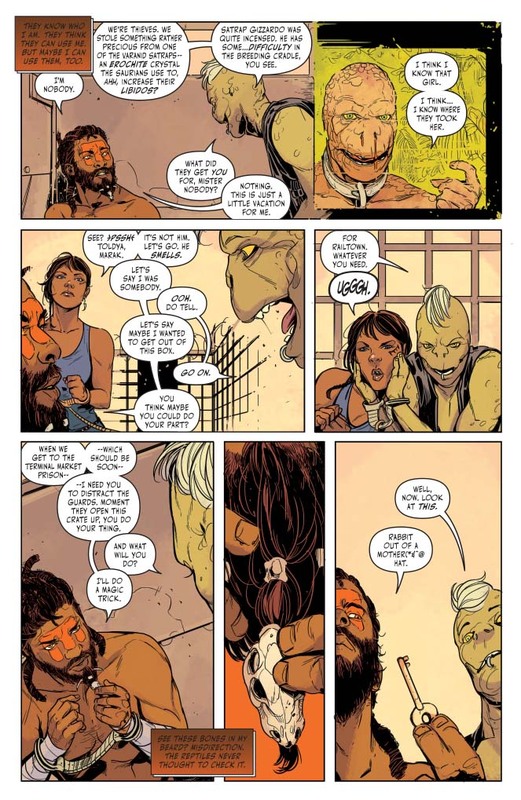 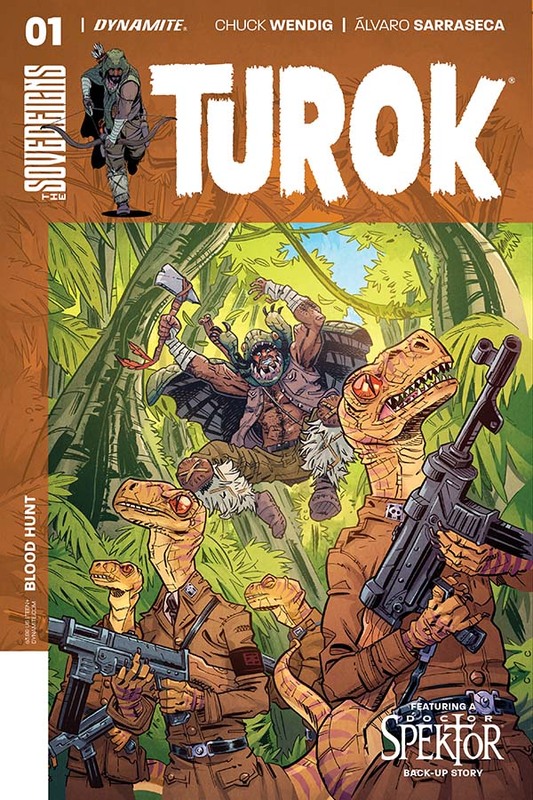 But the all-new Turok only cares about one thing: he’s on a quest to track down a missing girl – and she might hold clues as to how the Lost Valley has changed so much! 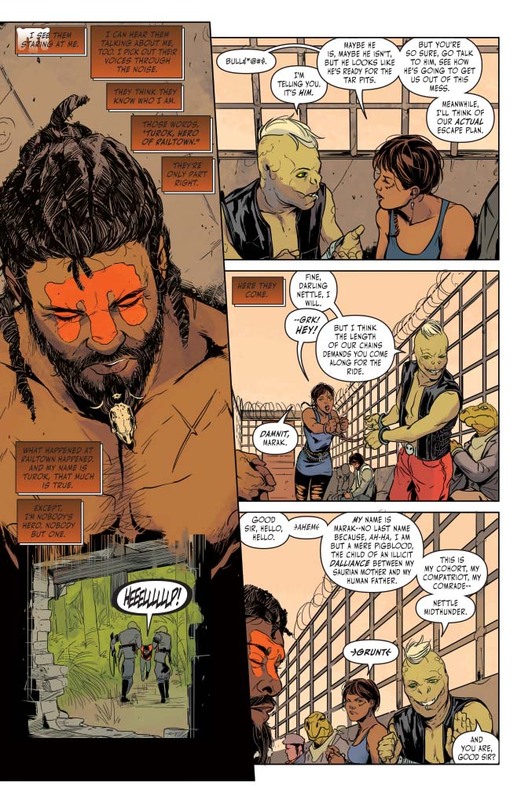 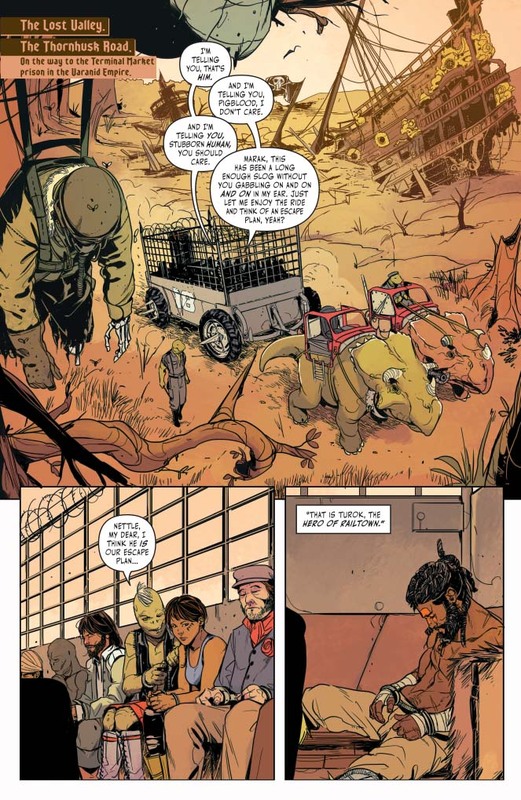 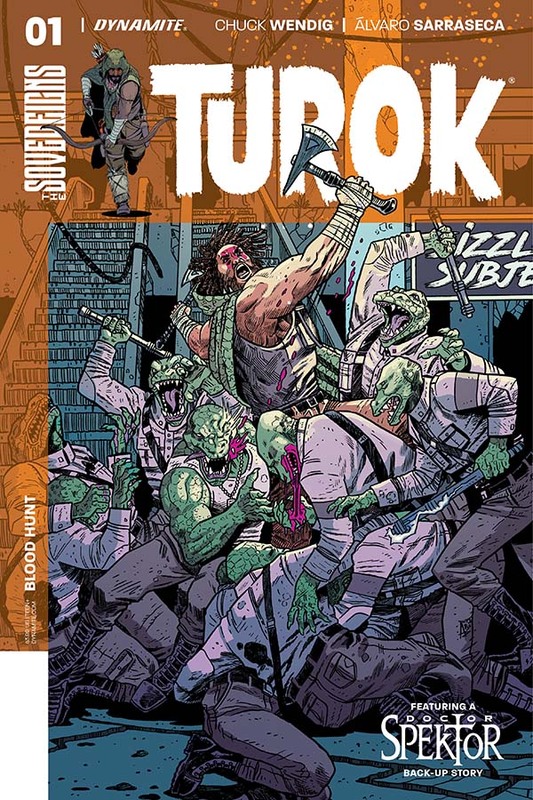 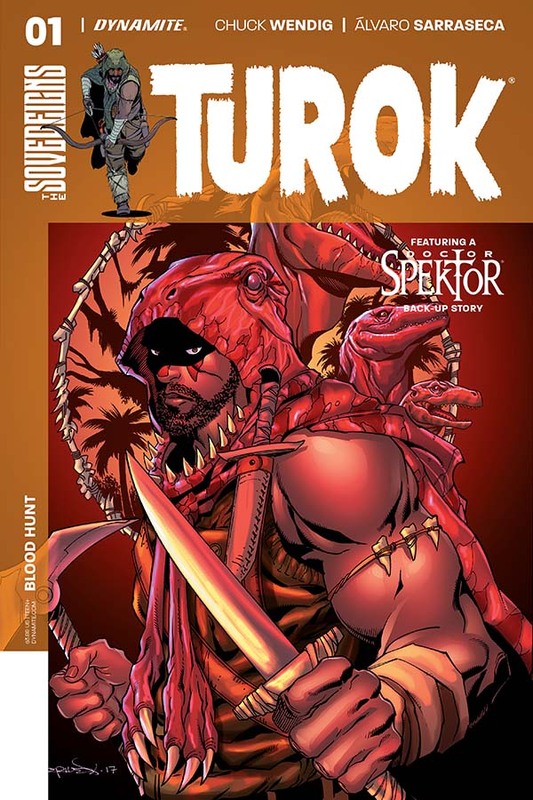 Now Turok must infiltrate a prison camp run by the Varanid Empire in order to get more information about her whereabouts -- and beware, any Varanid soldier who gets in his way – because there’s a reason they call him the Dinosaur Hunter! 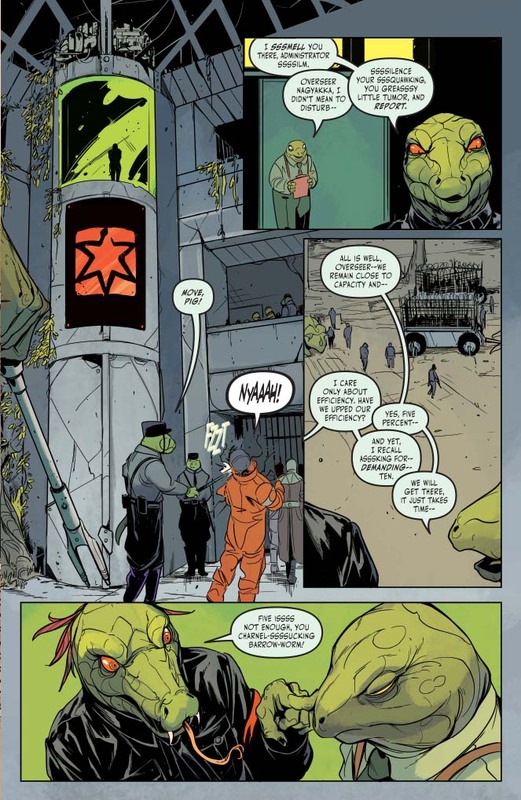 DOCTOR SPEKTOR PART 2: The story of the all-new master (and we use the term lightly) sorcerer continues... as Doc banishes a demon from an Upper-East Side apartment AND commits fraud – all in a day’s work!